Big news: Ubisoft and the Far Cry series does not hate you. 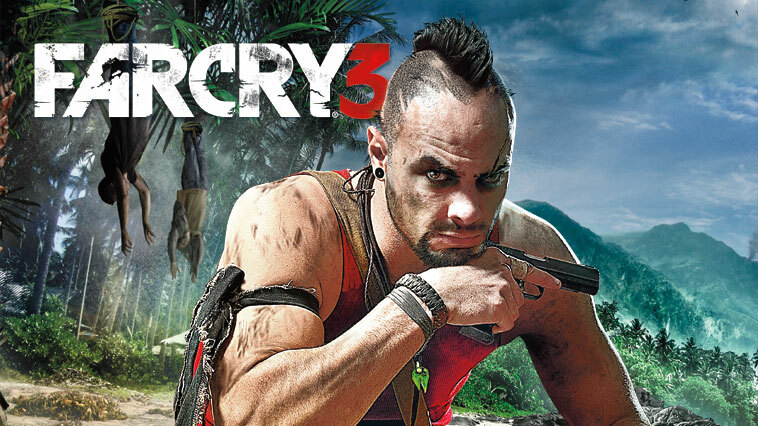 Far Cry 3 has only been released for about a month, but it is already one of the top 5 most popular games of the year. Just check out The Pirate Bay, its at the top of the top 100 charts (at the time of writing). Although I’ve played the Crysis series, as well as Battlefield 3, the graphics that appear in Far Cry 3 are by far the best and most appealing. It is a mix of tropical Just Cause 2 scenery with the detail you get from a FPS such as Battlefield 3. It may not be as gritty as many shooters out there, but the game beautifully simulates fires, oceans, animals and even trees with such detail, it is impossible to compare with any other game out there. Then there is the AI. Most human enemies have some sort of vision and hearing disability, rendering them unable to detect you even when you have been following him for a good half hour. Even simply hiding behind thin foliage will render you invisible, never mind that meter long rifle barrel sticking out of that bush. A useful mechanic in this game is the ability to throw stones as a mean of distracting enemies, making them walk towards the source of sound. This lets you either sneak away or behind him, where you can use one of many take down tactics available and unlockable through the game. These blade taken downs feel very satisfying,and the feeling of accomplishment is mutual to one you would get after hidden-blading someone in Assassin's Creed without being detected. One of very few games to include animals, Far Cry 3 outdoes any other mainstream shooter by introducing advanced animal AI as well, ones that have a flight or fight instinct, and ones that can even perform surprise attacks when you stumble upon them, such as encountering crocodiles hidden near rivers. Gun variety is astonishing in this game. Having played Far Cry 2 and the original, the gun modification is a new feature, as well as having to buy ammunition, where it was free in previous versions. Further personalization through camouflage selection just makes it that much more captivating and personal. Other cool features such as the healing mechanism are quite particular to this game. For instance, if you are shot and you lose a lot of health, you can heal yourself back by pulling the bullet out with a stick, or simply pulling on your broken arm until its aligned again. Also, the use of homemade drugs in syringes can heal your health just as well instantly, somehow. The cover system in this game is a better developed version of Crysis 2’s popup behind cover, and feels intuitive, unlike many out there. As a whole, Far Cry 3 feels fluid and is packed with enough surprises and challenges to keep you occupied for a long time. Ultimately, Far Cry 3 is definitely worth playing, if not paying for. The multiplayer component could use some touching up on, and the co-op still isn’t that much more captivating than what other games have to offer. However, almost everything in the free roam single player is worth trying, making Far Cry 3 my choice for game of the year.